fleet street fox: What the hell's it good for? 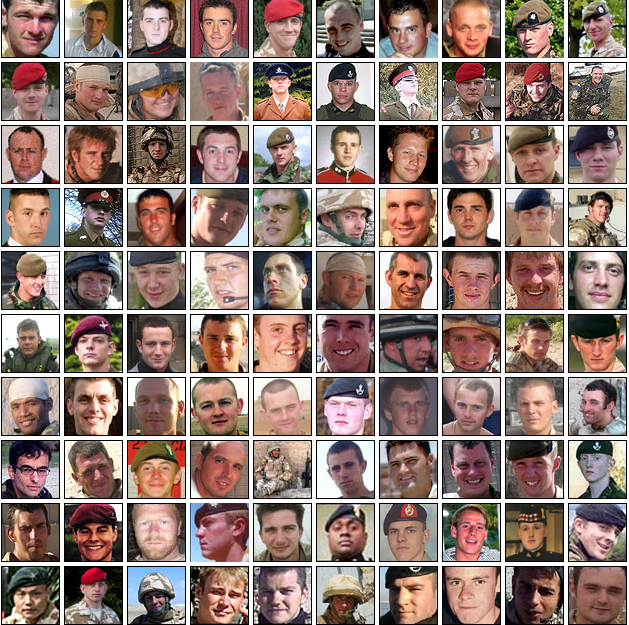 YESTERDAY the nation marked 10 years of being in a war most of us never stop to think about. It was October 2001 when Tony Blair and George Bush yee-hawed their way into Afghanistan less than a month after the terror attacks on the World Trade Centre. When someone hits you - and especially when they seem weak, uneducated and a bit backward - it's common to hit back, hard. At first it made a difference. Women threw off their burqas, the vicious mullahs had to stop beheading people willy-nilly in the Kabul football stadium, and Osama bin Laden probably had a few dark moments wondering how long it would take them to find him. But sometimes the uneducated and backward can be stronger than you realise and the Afghanis never really saw the Allies as liberators, just the latest invasion in centuries of aggression by people they didn't much like. In that situation it doesn't matter how good your reasons are because when someone thinks they're fighting for their home they never give up, even if your way of living in it might be better. For some reason, they didn't want to surrender to Simon Cowell and women's football. So rebellion grew while warlords settled old scores and servicemen sent to do a politician's job got stuck in the middle. They're still there. And in ten years what have we achieved? 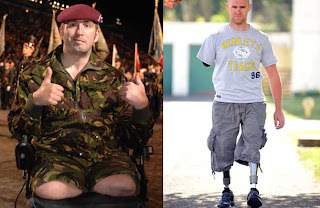 * A bill of about £3bn a year, or £12bn in total when you take into account the 'hidden costs' of emergency equipment orders and the £2m a month spent running the Selly Oak military unit in Birmingham where injured soldiers are treated when they come home, til they're thrown out of the forces and told to cope on their own. That cost, by comparison, would pay for 23 new hospitals, 60,000 teachers or 77,000 nurses. * The Taliban aren't in charge - for now. * Fifty seven per cent of women and girls go to school, a quarter of health workers and 10 per cent of the judiciary are female. But hardliners still maim females whose behaviour they disapprove of, girls are forced into marriage at 13, women are stoned to death for mere suspicion of a range of crimes. Women's rights were political rhetoric used to justify the invasion, but are now being forgotten as we try to leave. When we go, those improvements won't stay for long. * Somewhere north of 30,000 civilian deaths, and many more injured without access to medical care. * Osama bin Laden's dead. But then, he was in Pakistan. Many of the Al Qaeda most-wanted who have been 'taken out' without the benefit of a trial which the rest of us consider a bastion of a civilised society were killed by unmanned airborne drones, rather than soldiers. * We also found a $1trillion pile of untapped mineral deposits. I wonder who'll get that? 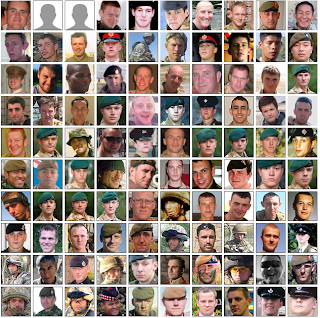 And for all those things, we paid with the lives of 382 soldiers, aircrew and Royal Marines. Two of the deaths were suicides, 328 were 'hostile action', 260 were in their twenties and 32 were under the age of 19. Two were women, 34 were officers. One in ten were not born in the UK, but died for it anyway. And how did we mark this appalling milestone? A remembrance service in Salisbury, for which the most senior public figure that could be rustled up was the never-very-busy Duchess of Cornwall. The pictures today are of her, rather than the candles that were lit in memory of those who died. 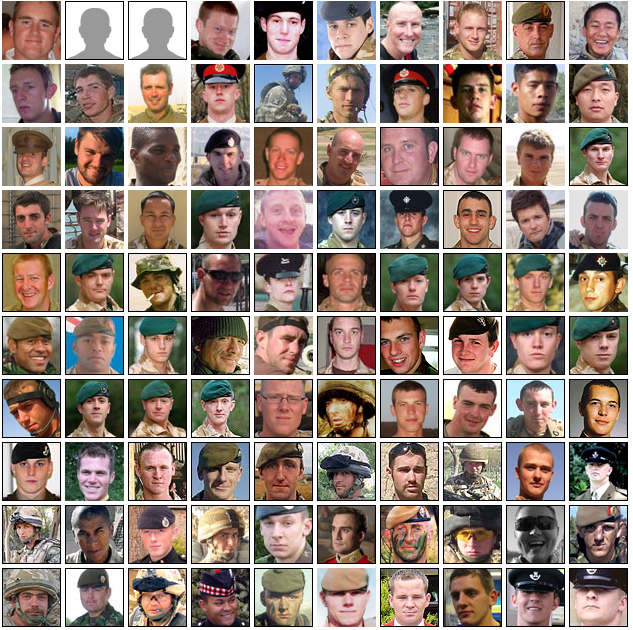 So here they are, 382 people whose lives were snuffed out for a cause whose worth disappeared in the heat of a war we've already lost.